Welcome to the Neshoba County Circuit Clerk web page! Here you will find information about our office and descriptions of our duties, plus our office address, telephone numbers, and email address. Please feel free to contact us if we can be of service to you. Mrs. Patti Duncan Lee is serving her fourth term as Circuit Clerk of Neshoba County. She was previously employed at Yates Engineering Co. in Philadelphia. She is married to James M. Lee of Philadelphia. They have a daughter Christi Lee Gregory, who serves as a recruiter and career- technical counselor here at East Central Community College. Christi is married to Brent Gregory who serves the college as WIA Coordinator. They have two daughters, McKinley Kate and Mary Lee Gregory. 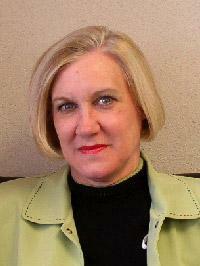 Patti Duncan Lee has served as Neshoba County Circuit Clerk since January, 1996.